Fifteen years ago, the most important part of any good sales pitch was the close. These days, the idea of “closing” a sale is all but extinct, as companies expect to continue providing services, assistance and free information long after closing the deal. This is because the idea of selling has changed. Most of us aren’t looking to sell a single item or even a one-time service. We’re moving toward a subscription-based economy, and businesses rely on return customers to stay in business. Just winning that initial renewable contract isn’t enough — selling has to keep happening, month after month after month. Buyers no longer view companies as simply suppliers of goods; they expect businesses to also be experts in their fields and sources of knowledge and information. For example, Symantec is best known for their Norton Antivirus software, but the company also publishes an annual Internet Security Threat Report. 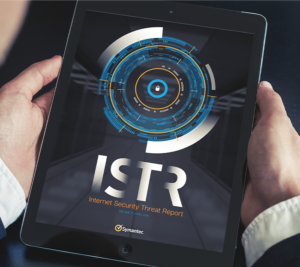 This annual report makes Symantec the go-to resource for IT professionals and helps maintain its position as one of the world’s most trusted cybersecurity solutions. This shift is blurring the once-solid line between salespeople and content producers, and it has become nearly impossible for one to exist without the other. What does this mean for you? Traditional sales training focused on the sales funnel, where potential customers make buying decisions by narrowing their competitive choices until concluding with a single product to purchase. This system provided very clear paths for a sales team and enabled them to guide prospects along the process. Brand power was king. If you weren’t part of a buyer’s initial pool of options, you had no chance of winning their business later. Sales teams can no longer rely on this traditional funnel model. The influx of new media channels means more businesses can communicate directly with prospects, making for smarter decision makers who are empowered to demand more information and interaction. Initial consideration – The consumer is just beginning to look at products and brands. Active evaluation – Next, the consumer seeks to learn more about each potential product. Moment of purchase – After all their research, the consumer makes a “final” decision. Post-purchase experience – The consumer is using your product. If they like the experience, that will influence their decision to do business with you again. This is a circular process. Just because the consumer picked you doesn’t mean they’ll stick with you. Similar buying patterns appear in the world of B2B sales, too. When your customers decide to make another purchase, and they’ll go right back to initial consideration and active evaluation. Before that happens, you need to create customer loyalty and build enough value that they’ll skip — or at least limit — the evaluation process the next time around. Your content marketing team has to be involved in every stage of the process. For companies without a strong brand presence, this shift in buyer behavior is a tremendous opportunity. Under the funnel system, if you weren’t a part of the initial consideration set, you were out of the game. With the explosion of options and resources available online, decision makers have increased the number of brands they consider during the evaluation phase. This means you should put additional resources toward the evaluation or post-purchase experience phase. 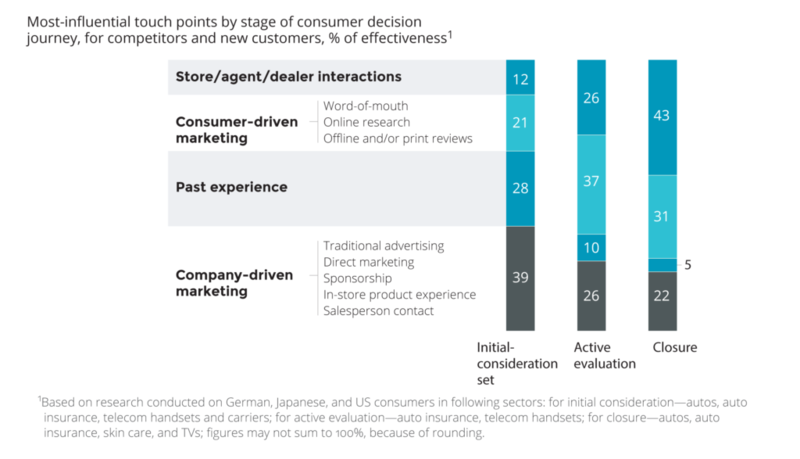 According to McKinsey, during the evaluation phase, your marketing team only controls about a quarter of the touch points between you and the consumer—that leaves a lot of variables unaccounted for. However, this also means that your salespeople are dealing with much more educated consumers, something they can and should take advantage of, provided they have focused content to help meet individual prospect’s needs. You need content that is tailored not only for each phase but also for each buyer. Building a single message and expecting it to appeal to every possible customer is like writing a book for kids and expecting teenagers to respond the same as preschoolers. 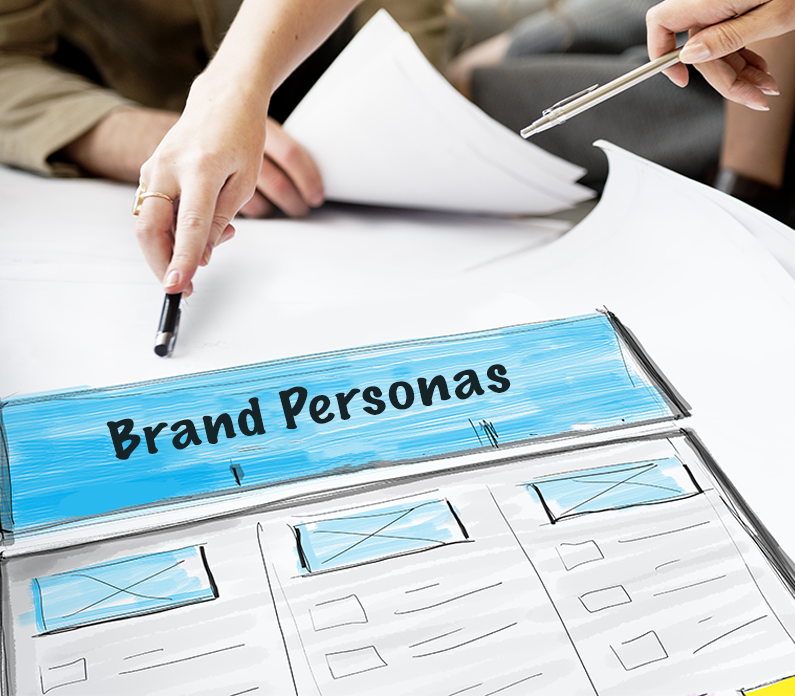 Your company needs to clearly define multiple buyer personas and map out a sales strategy that addresses the concerns of each persona in every phase of the sales cycle. This is where sales enablement comes in. Your content team must be a part of your sales enablement solution. It’s these customer-focused interactions that will get you added to their evaluation phase and keep you at the top of their post-purchase list. Your sales team doesn’t have the time or knowledge to provide the vast amount of content required to meet the increasing demand for information—and they shouldn’t try. Their skill is selling. Instead, your content team should develop a diverse range of content which your sales team can use. If you’re launching an email nurturing campaign, provide your sales reps with easy-to-locate and easy-to-customize communications they can distribute to targeted personas based on where each persona is within the sales cycle. As your sales team engages on social media, a readily available library of content solutions enables them to quickly share the appropriate content for their audience. It also helps them to respond to questions with targeted answers. And as your salesperson reaches for the phone, access to that searchable content library improves their chances of converting a lead into a sale. Access to the right message at the right time can make all the difference when speaking with a prospect or customer. As you identify content weaknesses in any of the four phases of purchasing, the content team should develop new resources that your sales team can use to win a deal. Ideally, your content marketing and sales teams make one another stronger. Custom content will enable your sales team to develop a tailored, solutions-based approach for each lead, and their continuous feedback will help your content marketers expand the company’s reach.